Above are the products we use on a daily basis- we have even more from the NOW Solutions line that we use on a weekly or monthly basis but wanted to share today those that we use on the daily. 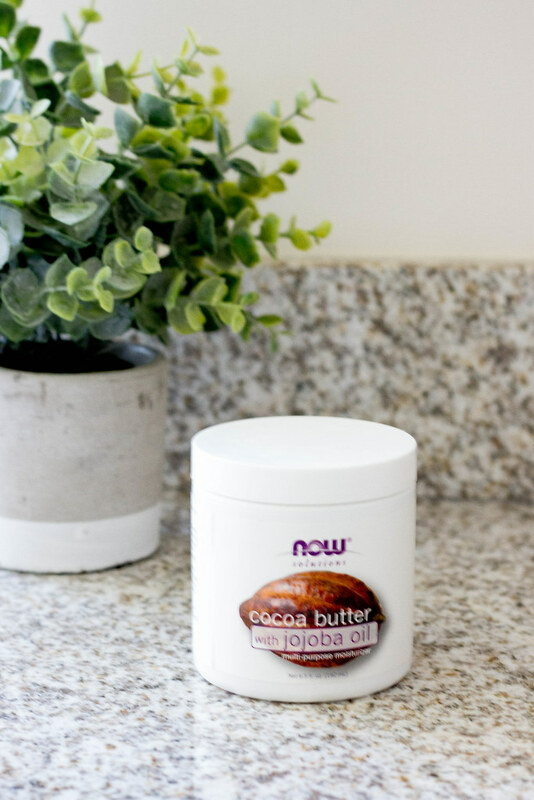 I have partnered with now for a year and a half now and wanted to wait to share their NOW Solutions line until we had a chance to actually experience their products for a decent amount of time- as you know I don't share anything on this Blog that I wouldn't use myself and wanted this post to be authentic- real life experience. Let's start with Sweet Almond Oil - the smell alone was enough to hook me. 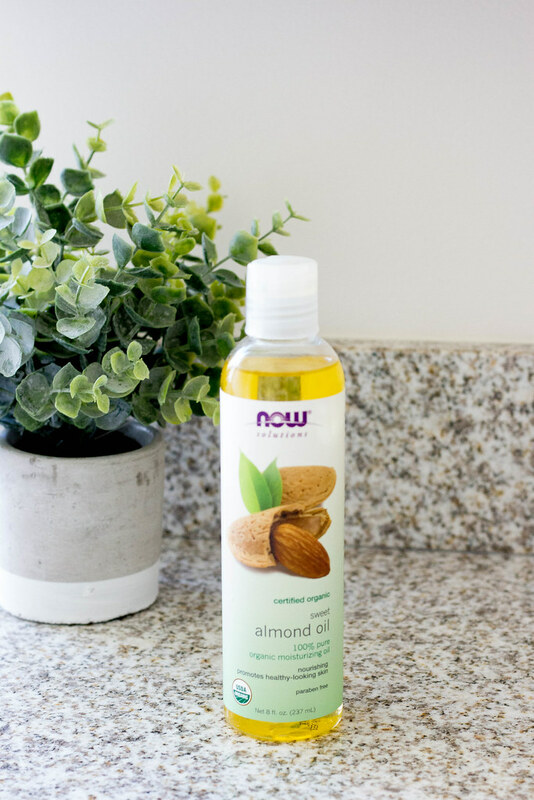 I use this as a nightly super moisturizer under and around my eyes and it is my oil of choice when making homemade body scrubs (check this one out from December!). 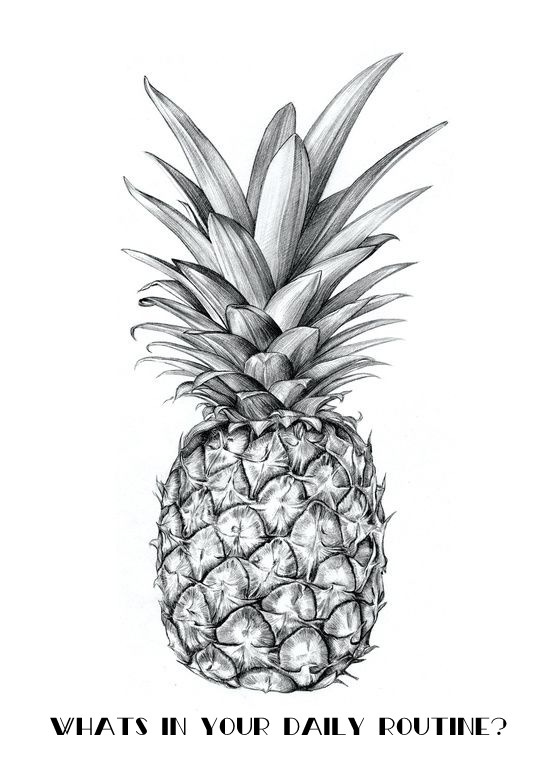 It is organic and pure and just amazing. Justin and I both get a little greedy with this gem (sorry the photo is a little grainy). Justin skin has always need extra moisture- he lathers up with this every night. What I love about this moisturizer- non greasy! It is all moisture all day- I have used this as a hair moisturizer in a pinch and it works amazingly well. 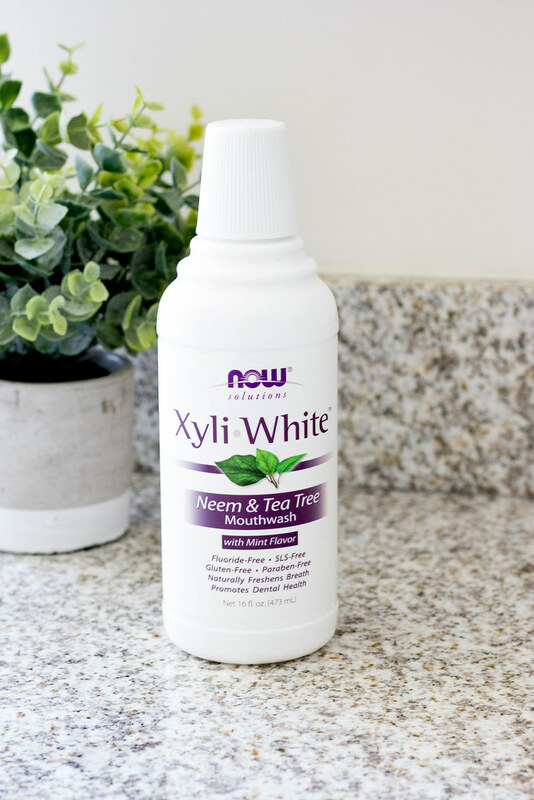 I have been using NEEM + Tea Tree oral care products for a while now (I love neem floss! )- this mouthwash by far is a favorite- no harsh taste, no mouth stinging, just pure fresh feeling mouthy goodness. Over the years other mouthwashes we have found to be just too harsh- this one has a perfect balance of clean feeling without the feeling of burning the inside of your mouth off. You may or may not have seen my insta post on the Deodorant Stick. 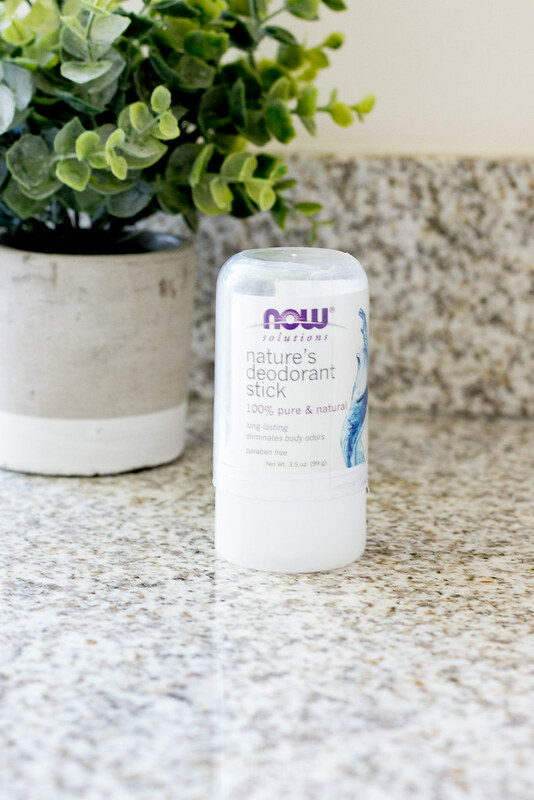 I was inspired to share my deodorant after a friend posted on facebook for recommendations on the best natural deodorants - after many years of trial and error I finally found a natural deodorant that didn't burn my underarms, left no sticky residues and didn't stain my clothes and get this actually works! This deodorant stick takes a bit to get used to as it is a solid stick that you run under water and then run under your arms- at first I thought how the heck is this even going to work? Then after a few months of using I was sold- it gets rid of the stink and sweaty armpits......I don't know how but it works! 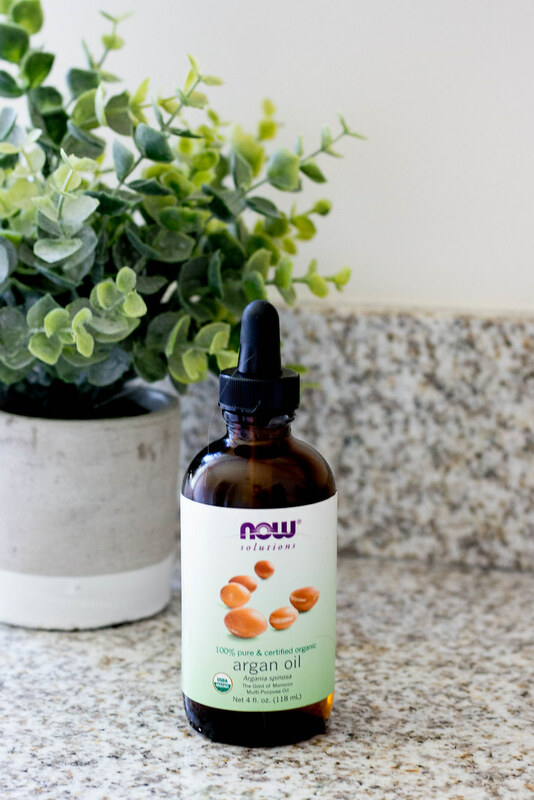 I swear by Argan Oil when my hair needs a little extra loving! 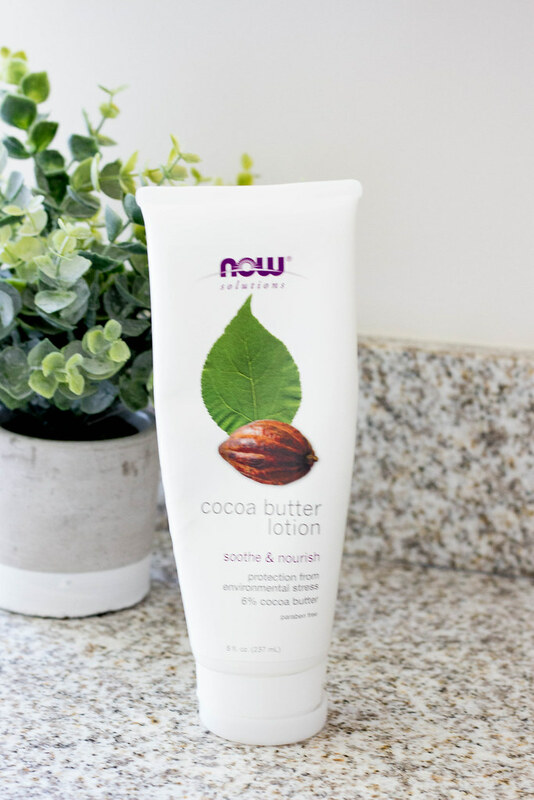 I LOVE this lotion- I use it twice a day on my face and it is the only lotion that moisturizes and doesn't lead to breakouts. I absolutely adore the smell and feel of this lotion- I totally covet this lotion and hide it from Justin. A little goes a long way, a bottle typically lasts me about 3 months or so, in the winter I use it on my hands and arms as well. 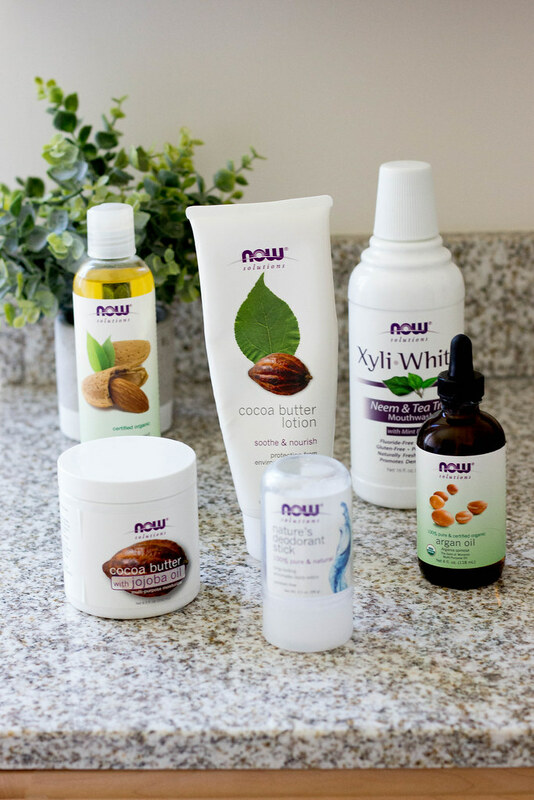 NOW + I would love to give one lucky reader a chance to try my favorite NOW Solutions Products. Simply leave a comment below telling us about your favorite all natural beauty secret! I love mixing sweet almond oil with sugar for scrubs! Me too! I love adding in tangerine essential oil + cinnamon - it smells heavenly! Coconut oil! I love using it as an eye makeup remover. The deodorant stick works as it is aluminum. All forms of aluminum are natural and unfortunately, come with potential health risks. You may want to consider discontinuing its use. Also, unfortunately, there are no natural anti-perspirants as the body is supposed to sweat to rid itself of toxins. You can only control the smell with a deodorant. Coconut oil for makeup remover & deep conditioner - simple & easy. coconut oil for skin, hair, teeth. Cut strawberries are great for facial exfoliation! I don't yet have a favorite natural beauty secret, which is why I needed this post. THANK YOU! Thank you because you were willing to share information with us! Thanks for taking your time and collect all them here! the description is short but very useful! It is really easy to compare which one could be the best for me! The products you use for skin care are very effective. I see the products you offer are good products. Coconut oil is a very useful ingredient in skin care, but how do I keep it from clogging pores that cause acne? This post has discussed some very major points, thanks for sharing it. Avail offers & deals on flight-booking at Qatar Airways Phone Number helpline. Experts on this helpline are accessible 24/7 globally for ticket booking. We Provide Best Service For Flight Booking.